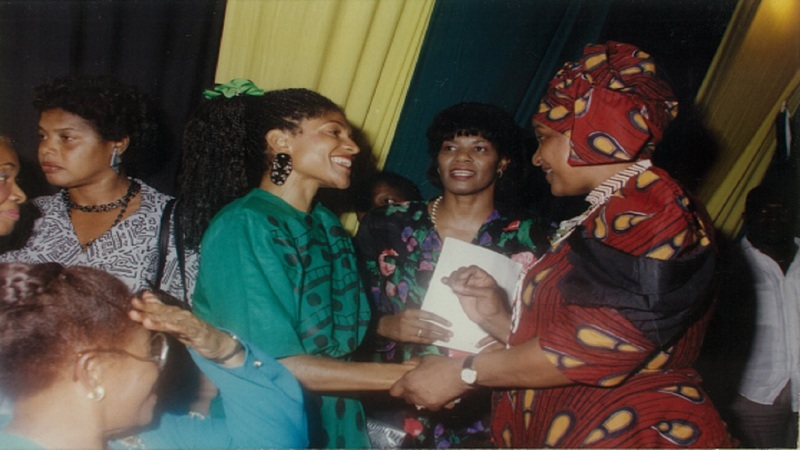 Reggae singer Carlene Davis was simply awed by the occasion when in 1991 she met Winnie Mandela, the woman many South Africans have described as the "Mother of the Nation" and a champion of the black majority. "It was a wow moment for me," Carlene Davis told Loop Jamaica reporter Claude Mills. "I was taken aback, to know that I had lived to meet and see her, and being able to touch the struggle. it was everything to me, the women who were there were elated and inspired by Winnie's work, and it was an empowering moment for us as women." The opportunity came to meet Winnie Mandela during a shindig organised by the Bureau of Women's Affairs at a popular hotel in downtown Kingstown which allowed selected women to gather and share Winnie Mandela's story. "I was honoured to have been invited. When I met her, we hugged, and I gave her a 12 inch vinyl copy of 'Winnie Mandela' with a photo of her on it, and she was very gracious, she said songs like these inspired her and gave her strength to keep up the fight," Davis said. Davis had been inspired to record the track after reading the book, 'Part of My Soul Went With Him', a biography about Winnie by white South African writer Mary Benson. "Tommy (her husband, Tommy Cowan) had bought the book while he was on tour, he penned the song, and he gave me the book which I read from cover to cover, and then inspiration took over," she said. Known more for love ballads than for freedom fighter songs, Davis said that certain details included in the book touched her in a personal way and inspired her to use her platform as a singer to advocate for change. “The book spoke of her life and marriage to Nelson Mandela and their early years together, their political work, her life after his final arrest and imprisonment to Robben Island and ultimately the release of her husband and a free South Africa. But the blow by blow descriptions of how she wasn't given a chance to eat her wedding cake, and how they took her stuff, and tried to banish her in some backwoods to silence her, it was severe and painful and speaks to how important she was in the struggle, ” Davis recalled. The song was one of several reggae songs released at a time when international pressure on the renegade South African administration intensified to end Apartheid and free Nelson Mandela who had been imprisoned since 1963. Winnie Mandela's own activism against white minority rule led to her being jailed for months and placed under house arrest for years. 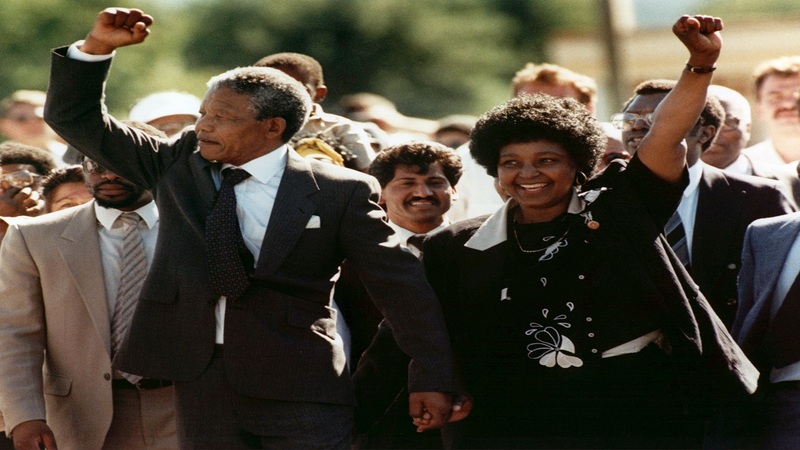 The songs were a catalyst for change and eventually, in 1990 when Mandela was freed, he and Winnie visited Jamaica on July 24, 1991 at the invitation of prime minister Michael Manley. Manley's father, Norman Manley had challenged the cruelty of Apartheid in the 1950s when he was Jamaican premier. Carlene Davis was centre stage as she had released a song called 'Welcome Home Mandela' and she performed the song with a coterie of musicians and backup singers as the motorcade entered the National Stadium. "I remember that there was an altercation at the time between the police and the people in the stand, and I remember Babsy (now Minister Olivia Grange) shouted 'sing Welcome Home Mandela' now and as I opened my mouth and started singing, the whole thing came to a halt and the crowd calmed down," she said. The 'Welcome Home Mandela' song was also used on various political platforms on Mr Mandela's visit to the United States. "Mayor Dinkins, the black mayor of New York City, used it on the platform to welcome the Mandelas when they visited New York," Davis recalled. 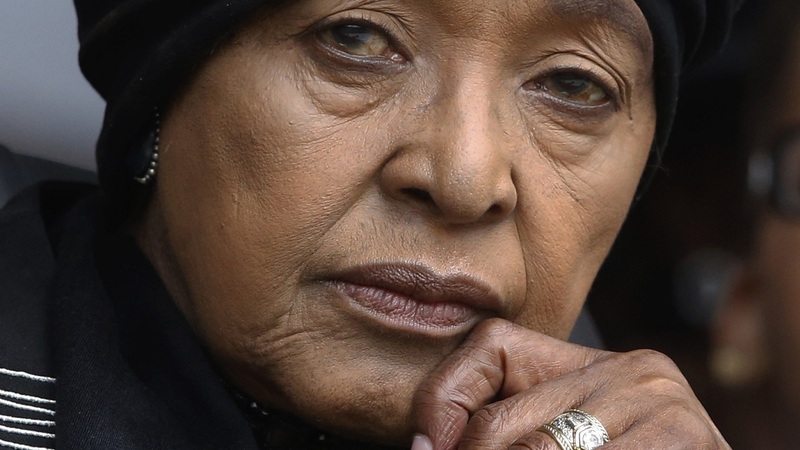 Winnie Mandela was the second of Mandela's three wives, married to him from 1958 to 1996, died Monday. She will be honoured by a state funeral on April 14, preceded by an official memorial service on April 11. 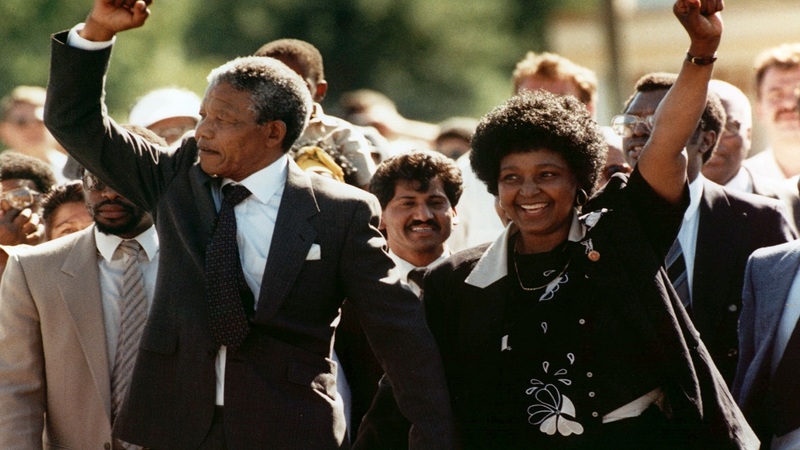 Davis said she was saddened by Winnie's death and praised her lifelong activism, and for being someone who "fought tirelessly for the future of a people and the future of a nation". Davis recorded two other Mandela tributes, one of which, 'Thank You Mandela' made it to her 2015 album, 'Dripping Blood'. The other, 'Rise Up' celebrated Nelson Mandela's presidency. In the meantime, Prime Minister Holness said Mandela's death brings into focus the significant struggle of black people throughout the world against racism and in particular apartheid in South Africa. 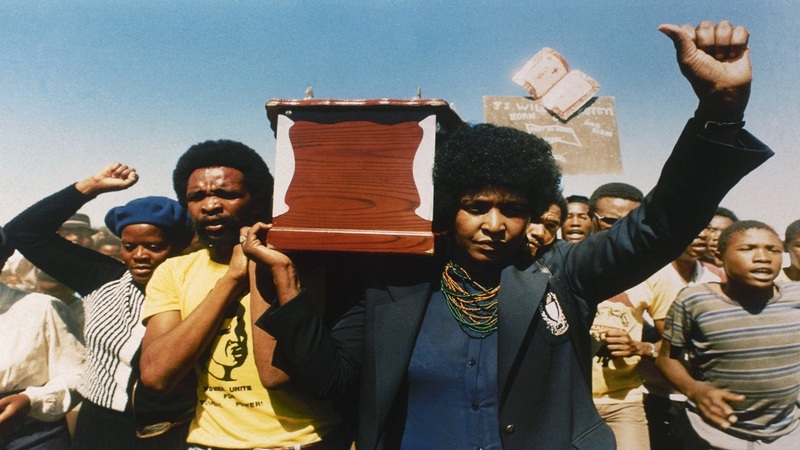 "Winnie Mandela was a symbol of the black struggle against oppression and injustice. We here in Jamaica supported her in that struggle as she maintained the legacy of her then husband Nelson Mandela while he was locked away for 27 years," he said. Holness said Mandela was a part of Jamaica, and the country "has lost a friend and inspiration."